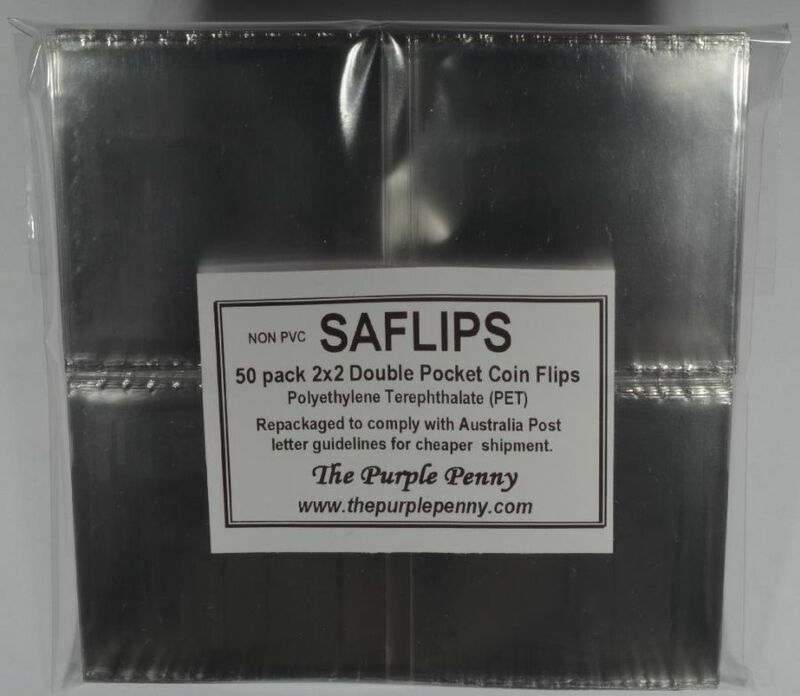 Pack of 50 Double Pocket 2 inch by 2 inch (2×2) Coin Flips fit perfectly into The Purple Penny 20 pocket coin pages. Can be heat sealed. 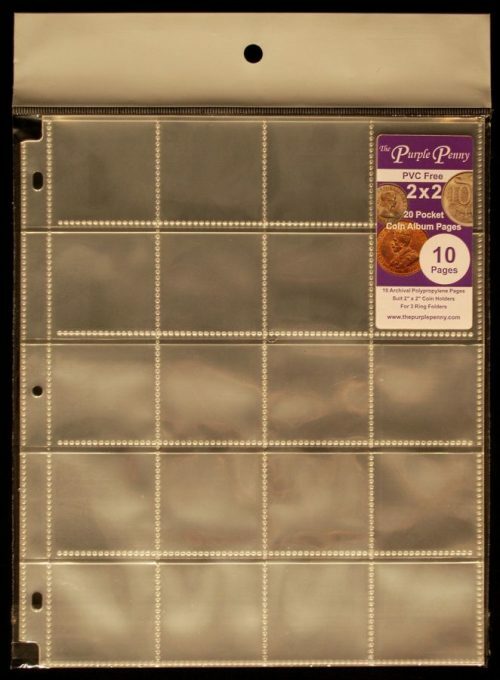 The second pocket can be used for a paper insert or a second coin. 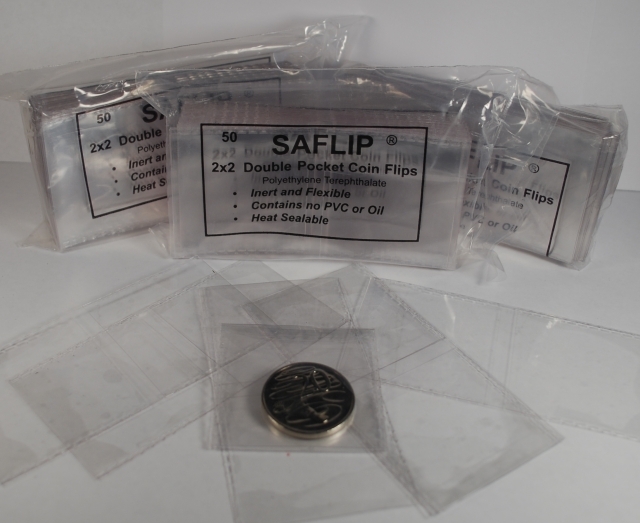 Saflips are made from Archival Coin Safe Polyethylene Terephthalate (PET). 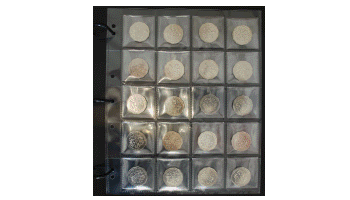 Coins and pages as shown are for illustrative purposes only, they are not included in the listing. Acid Free card inserts for use in 2×2 Saflips.